Alexander Moring Ltd. and the De La More Press began publishing around 1902. The press had a typical array of fiction and non-fiction titles, a few series (De La More Booklets, King’s Classics, and Smaller Classics Series [bought from Grant Richards when his firm went bankrupt in 1905]) and in the first few decades of the 20th century also produced some quality small press titles. By the 1950s the firm was printing trashy paperback fiction (The Torrid Temptress, by Hank Janson) before disappearing. 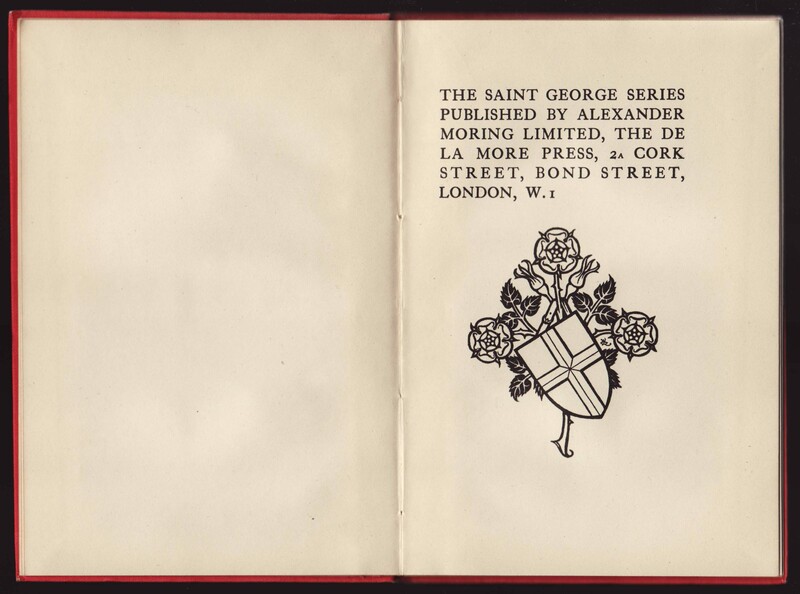 The Saint George Series began publication around 1920 and consisted of shorter classics with a small press look and feel. Earlier titles seem to have been numbered serially. 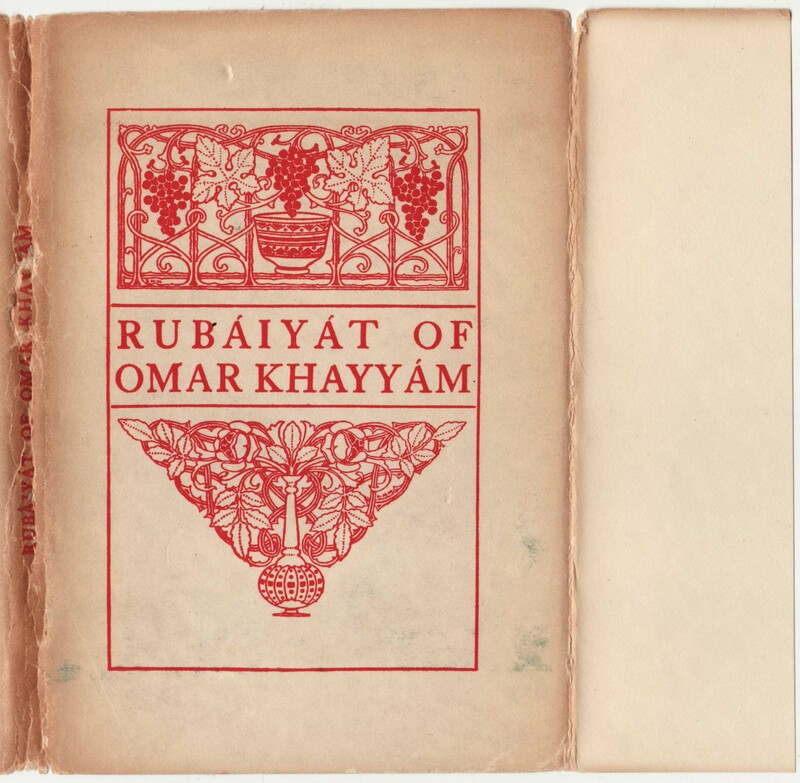 Titles were initially hardcover, then issued in paper covers after the mid-1920s. 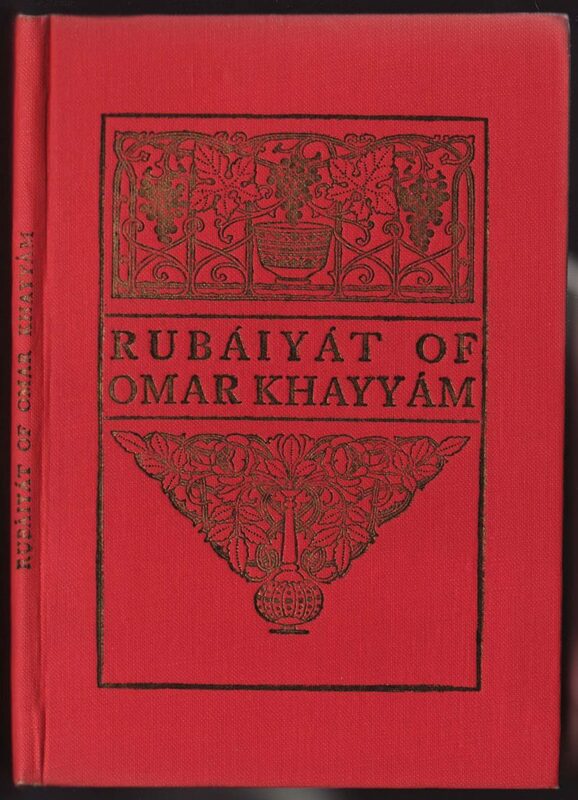 This copy of the Rubaiyat of Omar Khayyam is dated 1925. It has no serial number. It seems that around 1925 the titles lost their series numbering and both hard and softbound versions became available. Jackets are unique to each title in the series. The jacket is on heavy paper with an arts and crafts design in red. There is no mention of the series name on the dust jacket. The front flap is blank. The title is printed on the (very narrow) spine of the jacket. The back of the jacket contains a design, but no text. The rear flap is also blank. 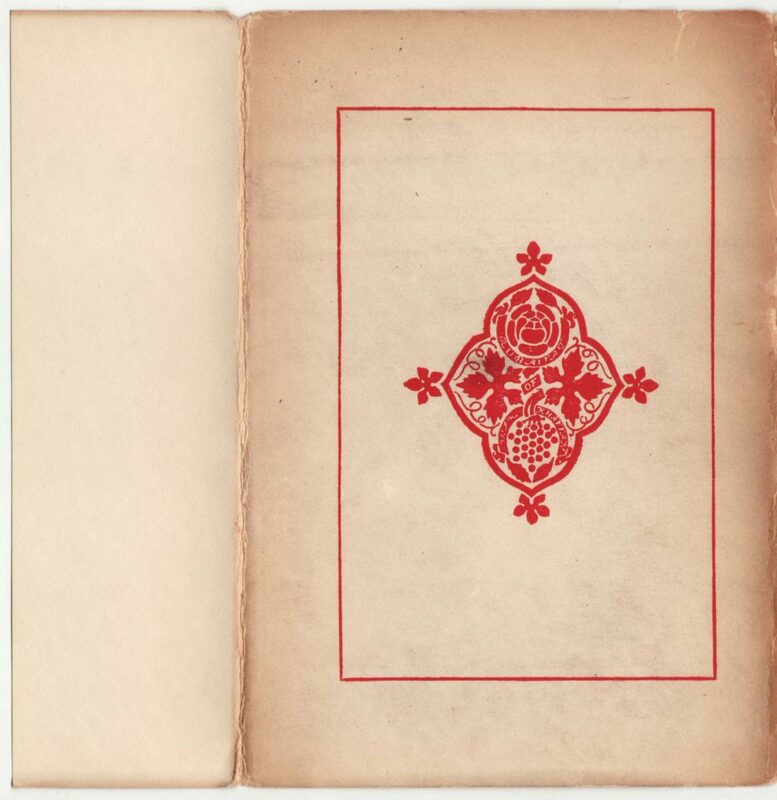 Hardcover titles are bound in cloth, of different colors, and replicate the design found on the dust jackets. 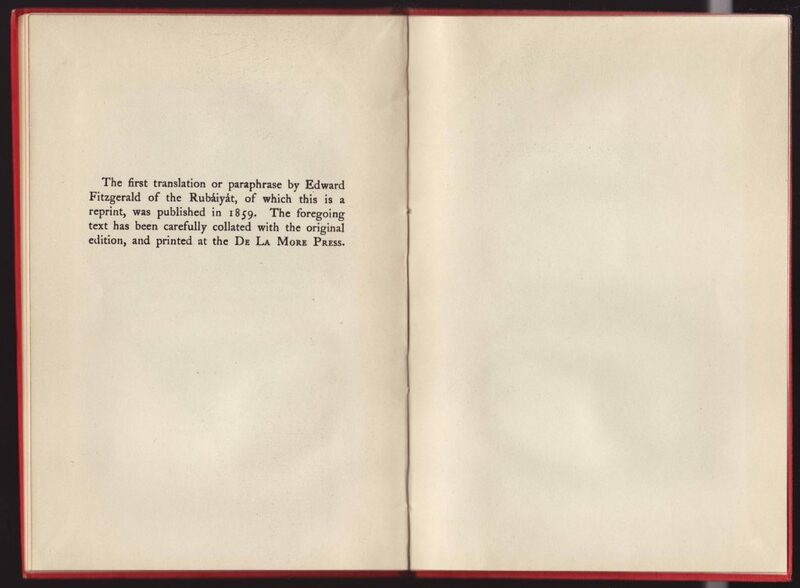 A page describing the series (the only place the series name is indicated on the book or jacket) replaces what would be the half-title page. 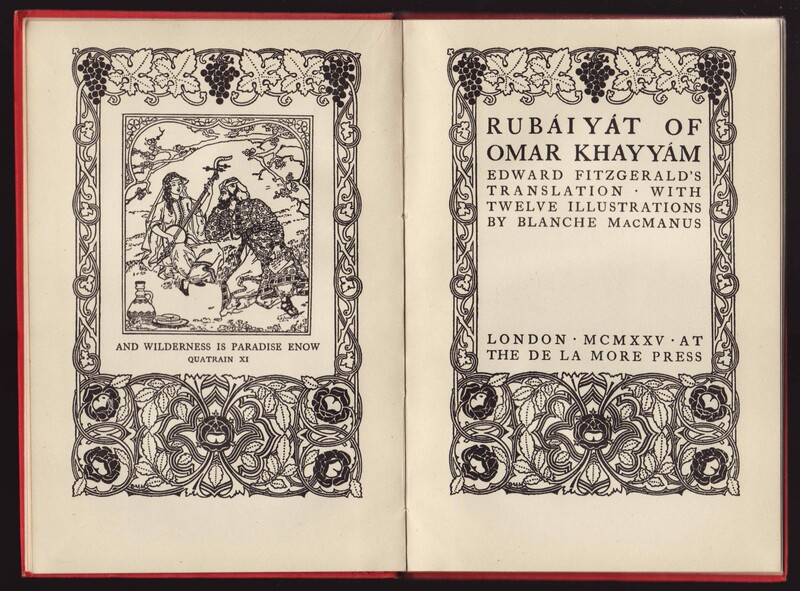 A frontispiece with elaborate border and an illustration from the book face the similarly framed title page. The title page includes the illustrator of the 12 illustrations in the book, Blanche McManus (spelled with a “Mac” on the title page). McManus was born in East Feliciana Parish, Louisiana, USA in 1870, studied in London in Paris before returning to the US to open a studio in 1893. In 1905 MacManus returned to Paris where she completed a significant number of illustrations for books. The copyright page which follows is blank. The last page in the book contains a note on the source of the text in the book.